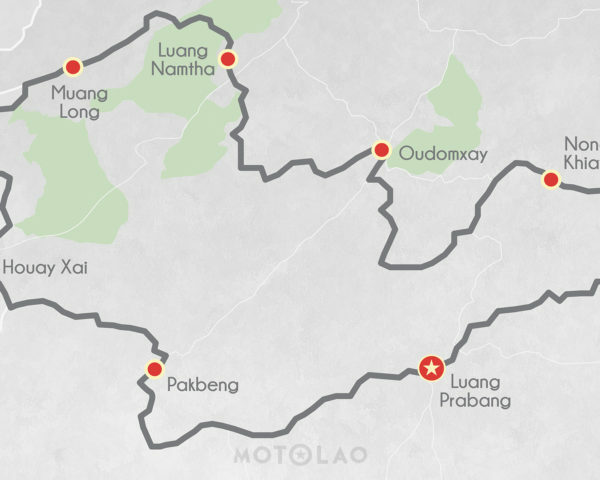 We will depart Luang Prabang in the morning west along the Mekong River. 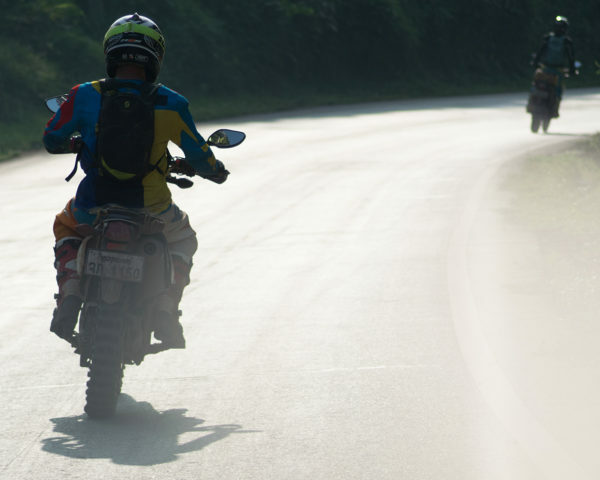 There are some great trails that will take us through the mountains with some beautiful remote spots to stop and take in the views before we reach tarmac roads near Pakbeng. We will stay overnight in a guesthouse along the banks of the Mekong. Today we will ride up through the misty mountains toward the start of the Golden Triangle. There are some exciting trails will lead us into Houay Xay were we will visit the French Fort. Near the fort there are some stunning view of the entire area. This is a relatively easy day on the bike, and will finish early to enjoy the city. Today we begin our journey through the legendary Golden Triangle. 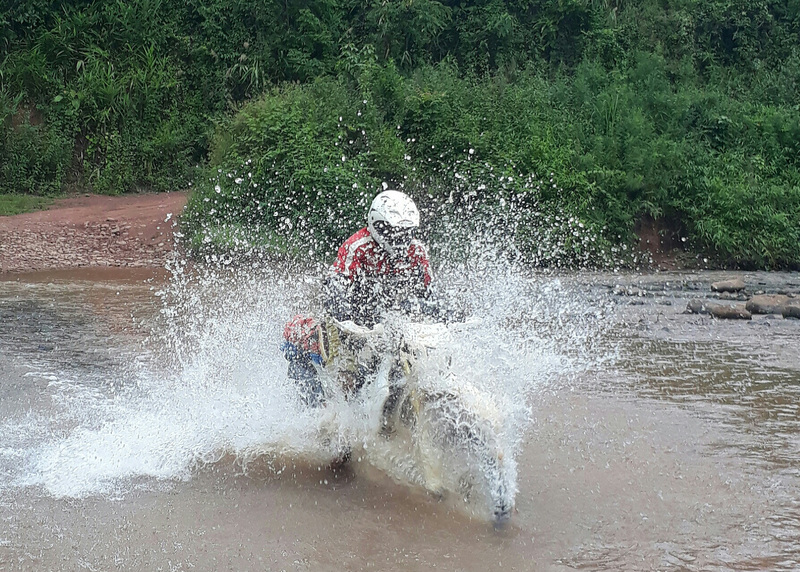 It will be mainly offroad riding, with enough time to go and explore the vast trail network in this area before spending the night in the remote town of Long. This is where you will see rural Lao life at its best. This is a short day on the bike which will enable us to further explore this area, riding straight into the heart of the triangle as far as the trails will let us. 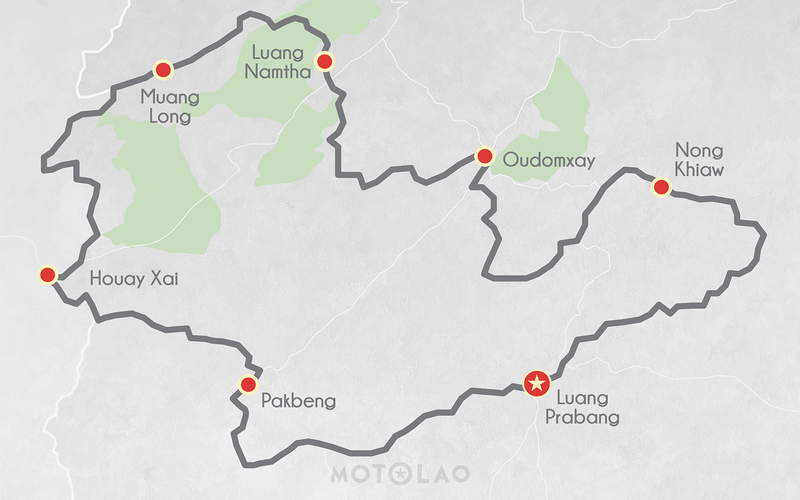 These are some of the most remote areas of Laos where the Triangle meets, providing a real insight into this historic area. This is another fantastic day spent exploring the trails in this area, doubling back to ride through some of the more unique trail in the area. We may be able to discover some new trails in the area before eventually arriving in the city of Udomxay where we will spend the night. 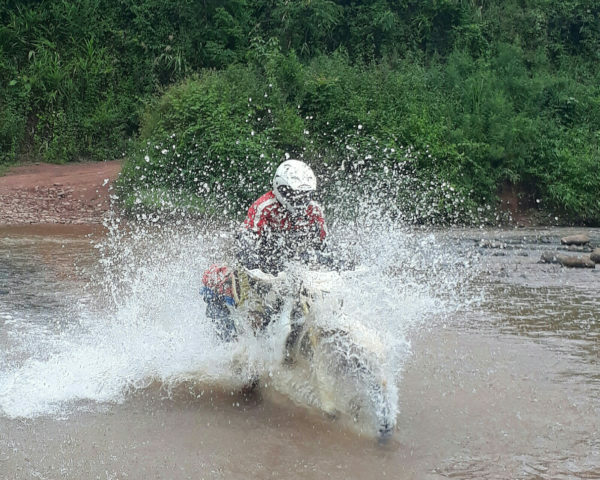 After leaving our hotel in the morning, we will immediately head back onto dirt roads for some more great trail riding with a few river crossings. We will arrive early into Nong Khiaw, an idyllic town located right on the Ou river. There will be enough time for some sight-seeing in this town that is very popular with tourists. Today is the final home stretch, and it will surely not disappoint. 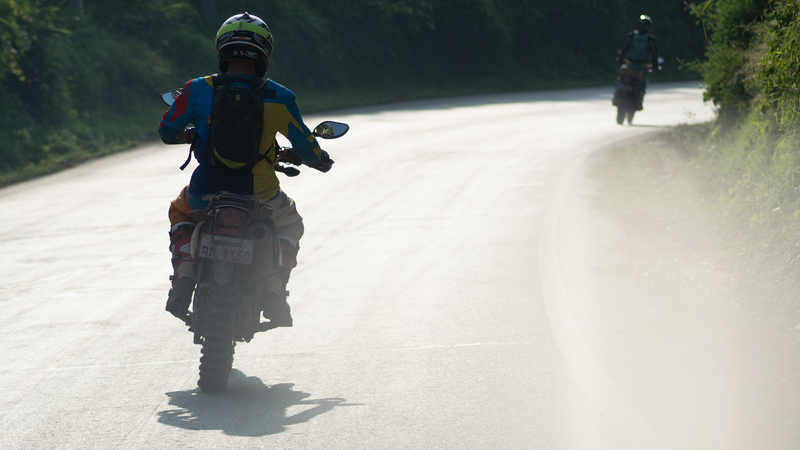 We will take a short blast down a twisty road toward Viengthong, leading us toward one of our favourite trails. There are single track riding up in these mountains that follow the river as it meanders through the countryside. We should arrive back in Luang Prabang in the afternoon.